Just like the Tsar and his family who were finally canonised ( inspite of some niggling doubts) & deservedly so. I was reading through the Royal Russia site and was touched to know that there is still a deep bank of regard for the Romanovs. The poor family did not deserve their deaths at all and neither did the millions of Russians who died because of that monstrosity called Bolshevism. Louis and Marie Antoinette also need to be rehabilitated. I had done a lot of reading on the French Revolution. I am really moved by its victims: the Royal family, the Dauphin, Princesse lamballe, etc. Foul-mouthed rag would hit the mark, Headsman! 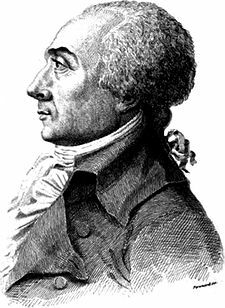 I did the French Revolution as my specialist subject at university and Hebert was one of the foulest guys in it, as was the clean minded, very prim and deadly Robespierre plus his accomplice in murder, St Just.